1. Call to order and reading of the mission statement and creed. 3. Closed session. Closed session authority: According to the California Government Code 54957, the Lockwood Fire Protection District Board of Directors reserves the right to hold a closed session for consideration of real property negotiations, pending litigation, threats to public buildings or public access and personnel matters. Accept resignation of Director Daryl Ann Dutton Cody. 5. AFPA and measure M, prop 172 issues. 7. Review Treasurer’s report for April 2015. Assess need for additional reports. (discussion and possible direction to Treasurer). Fiscal and Planning: Rescue Squad purchase plan - update. 13. Adjournment. Next meeting June 22, 2015. All are welcome to attend the Foothill Conservancy’s annual fundraising dinner, which will be held at the Italian Picnic Grounds in Sutter Creek on Solstice Day, Saturday, June 20. This year the organization is celebrating 25 trips around the sun, with festivities from 4:00-7:00 p.m.
Popular local band Slade Rivers with special guest Beans Sousa will get toes tapping with their California brand of country-swing music. The bocce ball courts will be open for players of all levels (with instruction available). 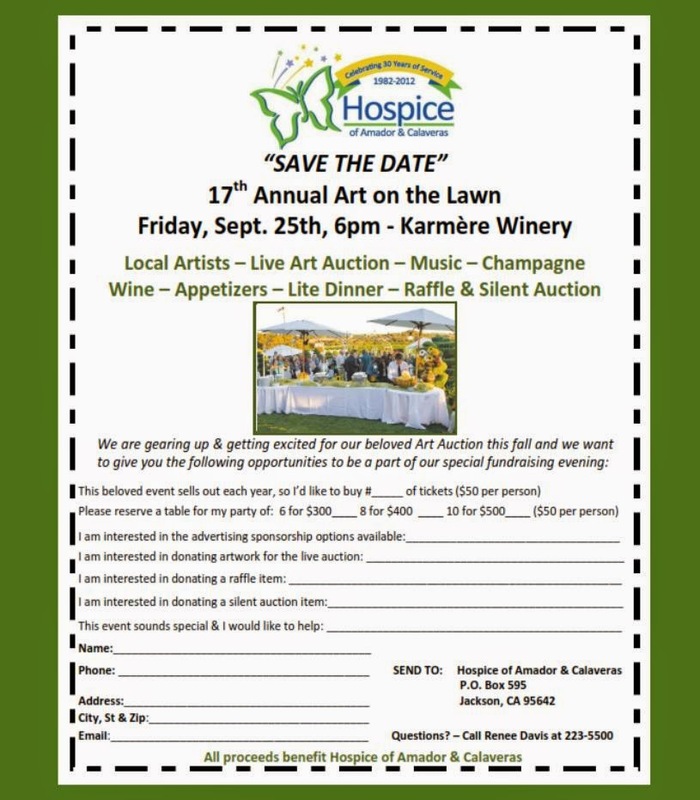 Exciting raffle and auction prizes featuring Amador and Calaveras businesses include stays at historic hotels, a gift certificate for kayak or paddleboard rentals, wines from award-winning vintners, gift certificates for local restaurants and services, and a one week stay in a beautiful residence near South Lake Tahoe. Tickets are $40 for adults, $10 for children under 12. They’re available by contacting Carolyn, carolyn@foothillconservancy.org, 209-223-3508. Delicious dinner choices include Parmesan chicken, Tuscan-inspired orzo, sautéed seasonal vegetables, garlic bread, fresh, colorful salads, and homemade desserts. 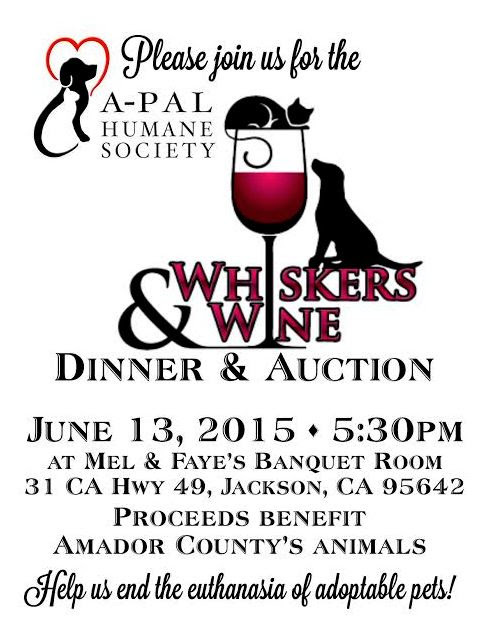 The bar will have Terre Rouge and Easton Wines, Lagunitas beer and ginger lemonade available for sale. For more information, contact Carolyn, carolyn@foothillconservancy.org, or 209-223-3508. Wood Angels are a volunteer group of individuals whose mission is to furnish seniors and those in need who have a limited income for essentials such as firewood to keep them warm throughout the year. They have been in operation for over seven (7) years. 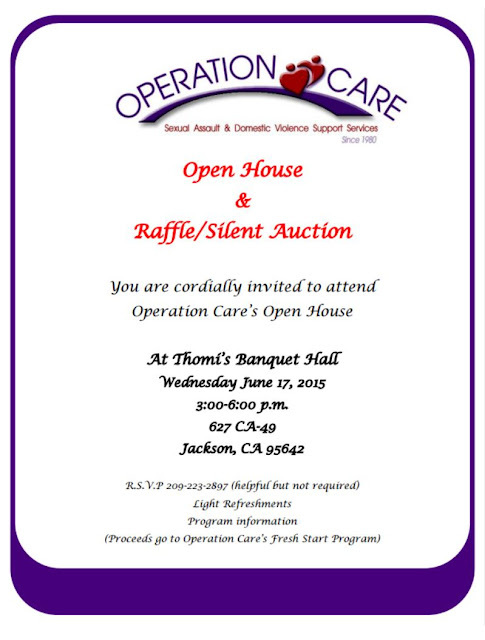 The organization is self-funded and receives no grants. It is primarily funded by its own volunteers, and contributions from the community and businesses (monetary or otherwise). Wood comes from contributions of trees from private parties and roadside. They seek most any wood; oak, cedar, pine, fir, walnut, etc., down, standing or cut in rounds. They cut, split, and deliver dry firewood. Firewood is split much smaller in size so it can be handled by seniors. Wood is kept covered during wet weather; dry stacked to help dry it faster. The Wood Angels process over 35 cords per year, delivered. Wood Angels do not charge for firewood. However, they DO accept contributions to help cover costs, such as fuel for delivering and equipment repairs. Wood Angeles are not “competition” to commercial tree and firewood companies. Where needed, a commercial licensed cutter is contracted to take down donated trees. It is usually up to the private party to pay for the cost of falling a tree that requires a licensed cutter. They have negotiated with a local cutter a discounted rate for this service. Wood Angels do not advertise or sell wood. 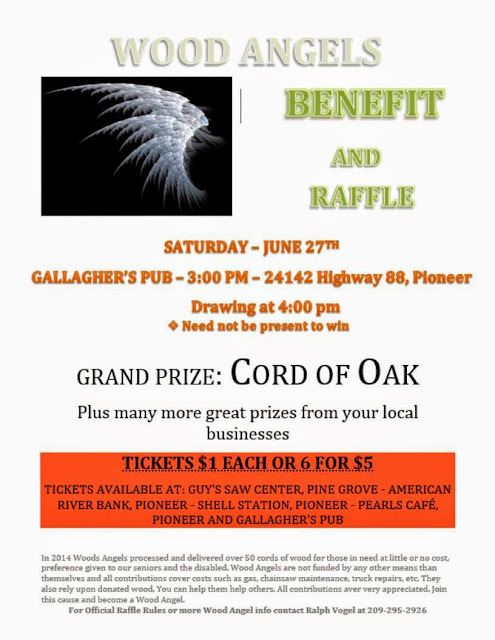 Eligibility for donations are determined by the Wood Angels themselves. Recommendations/requests for firewood delivery come from various sources; including word of mouth, Hospice, local churches, etc. Wood is generally pine, and occasionally hard woods are available and distributed “as available”. Persons using ONLY wood for heat are given priority. Questions should be directed to Ralph Vogel at 295-2926 We are always looking for volunteers to help: fall, split, cut, stack, and deliver. An hour or two or more per week is all it takes to help seniors in our community stay warm. PLEASE THINK ABOUT VOLUNTEERING YOUR TIME. SUTTER CREEK - Over this past winter, Logan Moody of Sutter Creek Boy Scout Troop 63, organized a dozen fellow Boy Scouts and a handful of adults to paint fire hydrants for his Eagle Scout Service Project. Moody and his volunteers painted 119 Amador Water Agency fire hydrants in the upcountry CAWP service area. Cleaning, painting and applying reflective powder to the hydrants in roadways, high traffic areas and neighboring fields took Moody’s team 148 hours. AWA Board of Directors presented Logan with a formal resolution at their April 23 Board meeting, recognizing and thanking him for his work and his spirit of volunteerism. Painting the hydrants with high visibility paint is an important community safety project, helping firefighters spot the hydrants quickly in an emergency. Moody’service project is a final step in being awarded the rank of Eagle Scout on May 31, 2015. 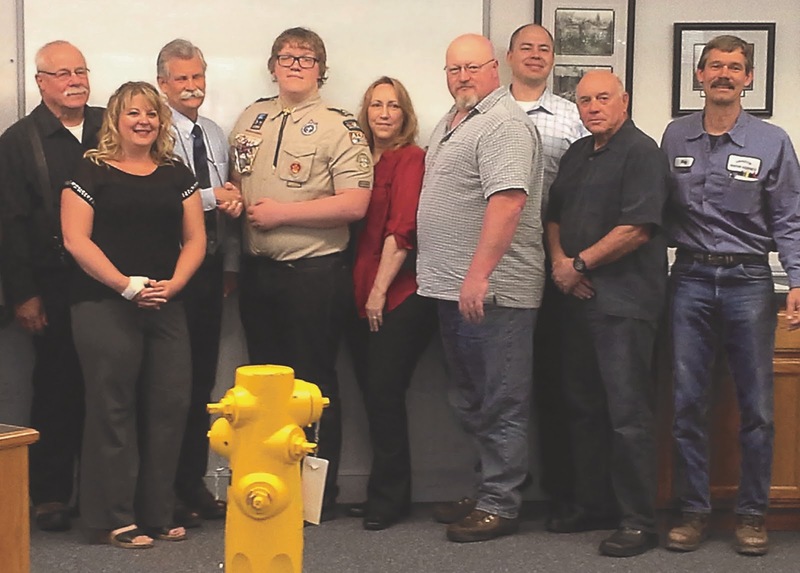 PHOTO: On behalf of the AWA Board, President Rich Farrington thanks Eagle Scout candidate Logan Moody for his work painting fire hydrants in the upcountry CAWP service area. To Logan’s right are his parents, Tori and Kevin Moody, along with AWA staff who supported Moody’s Eagle Scout Service Project. 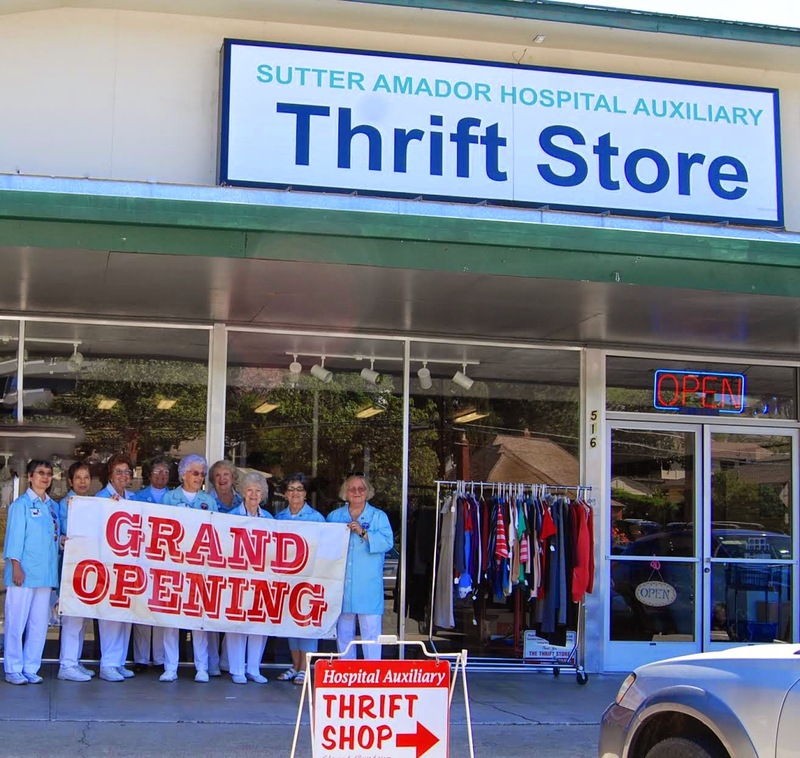 Sutter Amador Hospital Auxiliary held a grand opening of its new, larger thrift store on April 27. The store, located next to True Value at 516 Hwy. 49 in Jackson, features 25 percent more space, creating additional room for unique finds for thrift shoppers in the community. 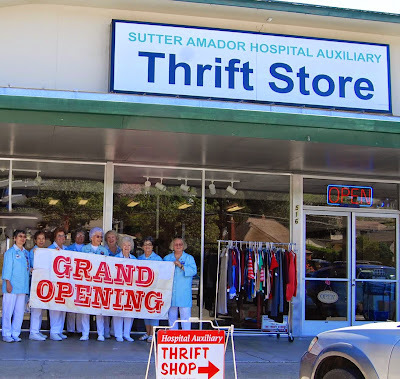 The Sutter Amador Hospital Auxiliary Thrift Store is open Monday through Saturday 10 a.m.-3 p.m.
Sutter Amador Hospital Auxiliary has 89 members who gave more than 15,000 hours of service to the hospital in 2014. Volunteers provide support at the information desk, gift and thrift stores, concierge cart and departments throughout the hospital. The auxiliary donated $24,188 to the hospital to help purchase wheelchairs, an echo table and patient lifts that help Emergency Department staff and physicians get patients out of cars. Members of the Sutter Amador Hospital Auxiliary celebrate the opening of their new thrift store on April 27. The auxiliary is having an Estate Jewelry Sale on May 5 at SAH. 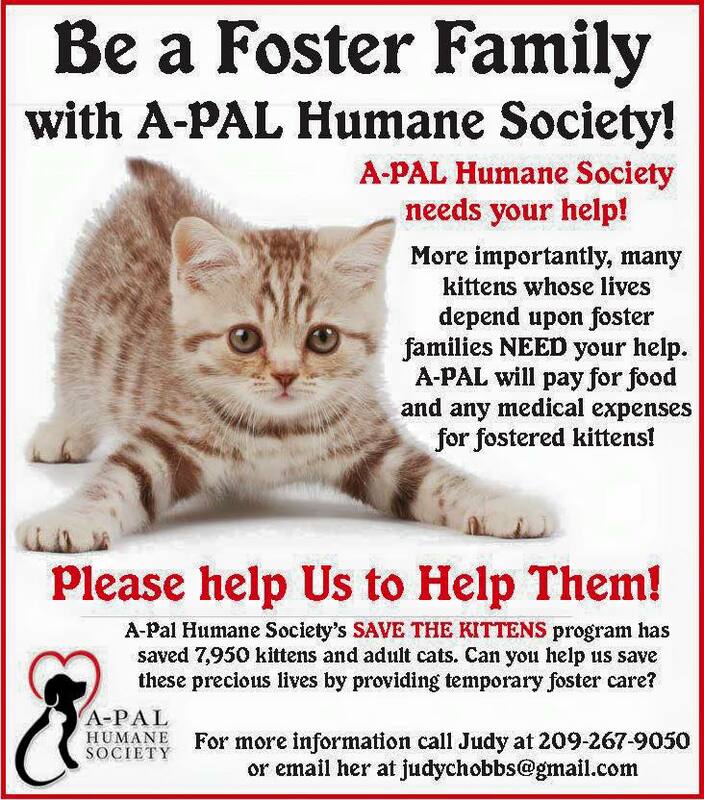 If you are interested in becoming an auxiliary member, please call (209) 223-7514. 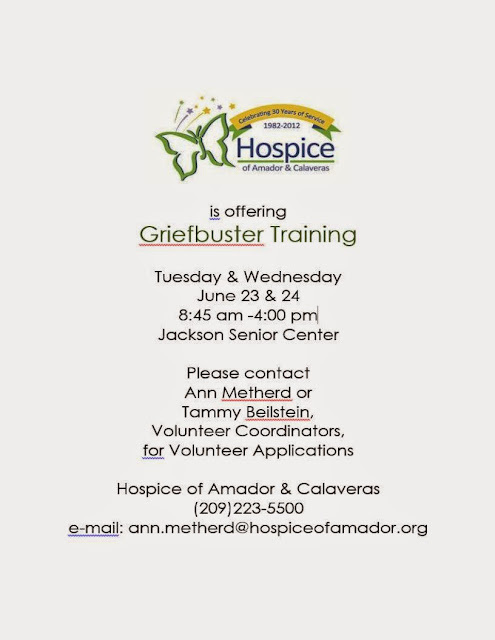 Sutter Amador Hospital is part of Sutter Health, a not-for-profit, community-based health network located throughout Northern California. The hospital’s rich history of Amador County dates back as far as 1876. The facility has 52 licensed beds and is the only hospital in Amador County serving a population of more than 40,000.